Even though I often sport an "almost black" nail ninety five percent of the time, it feels far more appropriate sharing some of my favorite polishes now than back in July. They range from red based shades to blue based shades with a little purple in between and I can't get enough. Since I am a crazy nail polish person these aren't even half of the dark "vampy" shades I own, but they are some of my favorites. Above is a little mix of high end and lower end colors, all with a different base note. Some are slightly darker than others. 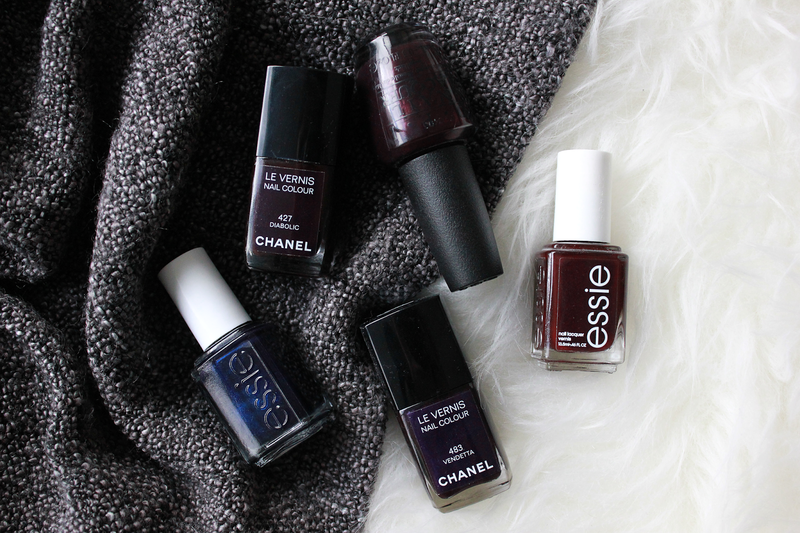 What colors do you love to wear in the Fall/Winter? I've never tried the Nails Inc polish though, I will have to look into it!